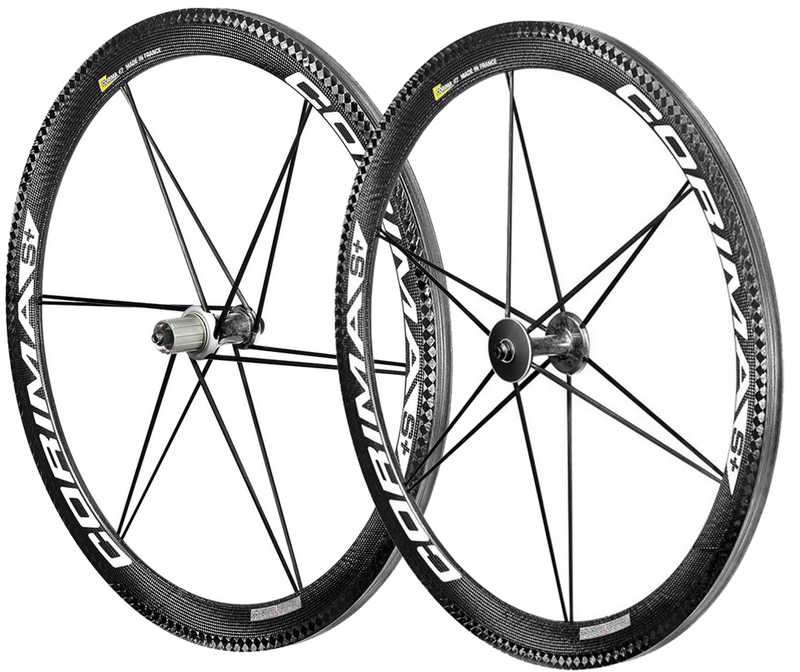 The AERO “S” is the wheel for enthusiasts looking for speed and efficiency above all else. 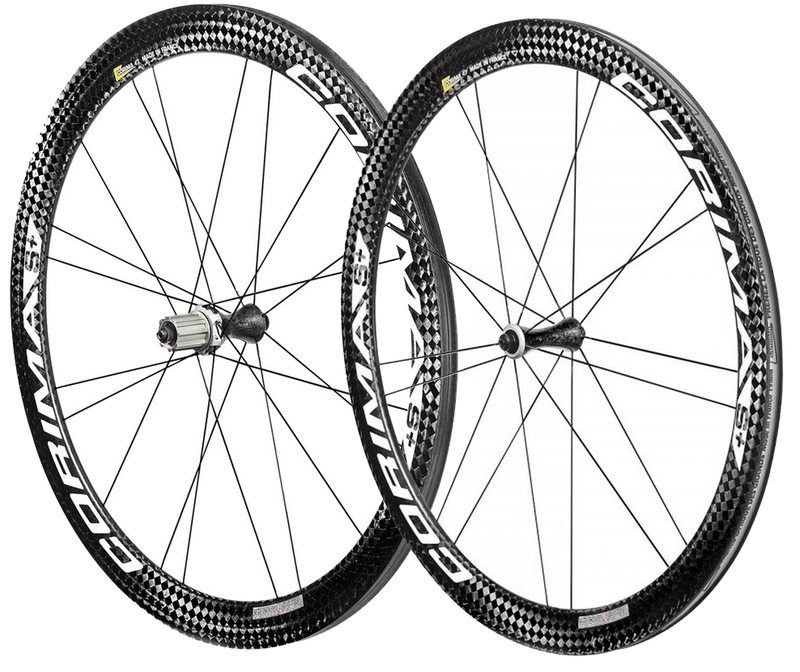 Assembling the AERO (47 mm) rim with the “S” hub produces an ultra-high performance combination. This concept improves the factors that affect a wheel’s performance: Weight, stiffness, rotation inertia, aerodynamics, fluidity, power transmission and durability. The front wheel is built with 18 spokes under our R2 system and the rear wheel with 20 (CX) spokes under the 12/8 system developed by CORIMA. Developed by their design office, the “S+” hubs combine strength and lightness with an exceptional finish. They benefit from the lastest innovations with, for example, a 30 tooth free-wheel ratchet ring and a diameter of 17mm titanium/aluminium spindle. The corima “S+” hubs are also fitted with top of the range cartridge bearings. The cassette bodies of the “S+” hubs are even easier to use, the three pawls are held in place by a spring and the same sprocket wrench can be used for removing the bearings. 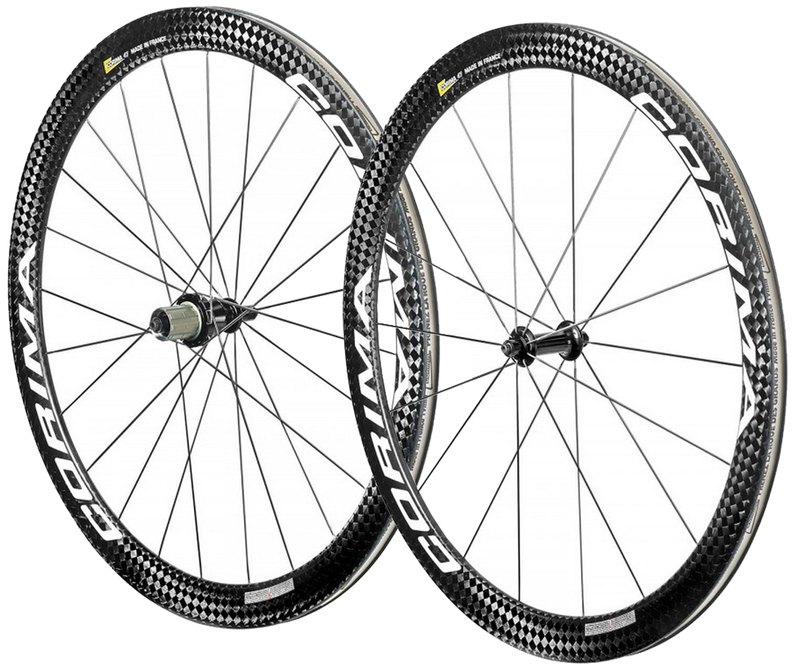 Corima “S+” wheels are available in tubular and now also available in clincher vision! 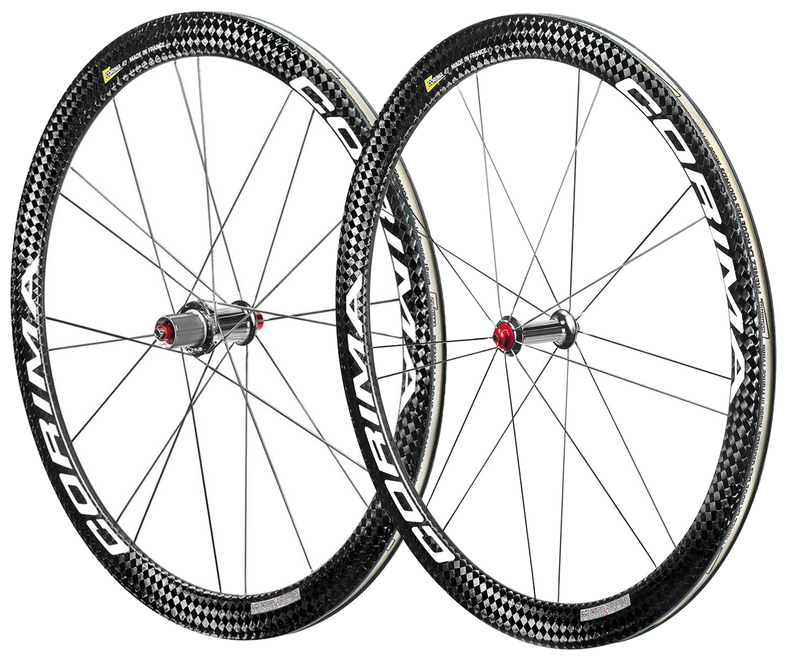 They are built with the very light carbon “S+” hubs on which the corima logo in engraved. 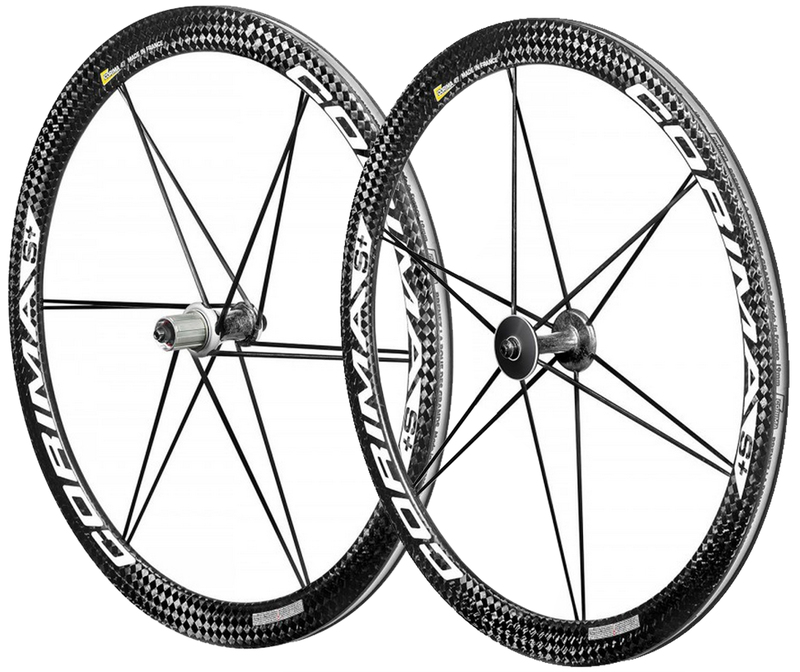 The wheels are made entirely of carbon from the rims to the hubs and spokes. The front wheel has 12 blade shaped spokes for better aerodynamics while the rear wheel has 12 conical shaped spokes for increased stiffness. Each wheel is supplied with a titanium skewer with a carbon lever displaying the corima logo.